"The Contribution of Low-Energy Protons to the Total On-Orbit SEU Rate"
"RHA Implications of Proton on Gold-Plated Package Structures in SEE Evaluations"
"Effects of Applied Bias and High Field Stress on the Radiation Response of GaN/AlGaN HEMTs"
"The Influence of Cation Impurities on the Scintillation Performance of SrI2 (Eu)"
2015 Special NSREC Issue of the IEEE TRANSACTIONS ON NUCLEAR SCIENCE Comments by the Editors . . . . . . . . . . . . . . . . . . . . . . . . . Interrupted PROGRAM and ERASE Operations for Characterizing Radiation Effects in Commercial NAND Flash Memories . . . . . . . . . . . . . . . .
Enhancement of Transistor-to-Transistor Variability Due to Total Dose Effects in 65-nm MOSFETs . . . . . . . . . . . . . . . . . . . . . . . . . . . . . . . . . . . . . .
A Study of Gamma-Ray Exposure of Cu-SiO2 Programmable Metallization Cells . . . . . . . . . . . . . . . . . . . . . . . . . . . . . . . . . . . . . . . . . . . . . . . . The Impact of Metal Line Reflections on Through-Wafer TPA SEE Testing . . . . . . . . . . . . . . . . . . . . . . . . . . . . . . . . . . . . . . . . . . . . . . . . . . . . . . . Investigating Pulsed X-ray Induced SEE in Analog Microelectronic Devices . . . . . . . . . . . . . . . . . . . . . . . . . . . . . . . . . . . . . . . . . . . . . . . . . . . . . . .
RHA Implications of Proton on Gold-Plated Package Structures in SEE Evaluations . . . . . . . . . . . . . . . . . . . . . . . . . . . . . . . . . . . . . . . . . . . . . . . .
Hydrogen Limits for Total Dose and Dose Rate Response in Linear Bipolar Circuits . . . . . . . . . . . . . . . . . . . . . . . . . . . . . . . . . . . . . . . . . . . . . . . .
Schottky Diode Derating for Survivability in a Heavy Ion Environment . . . . . . . . . . . . . . . . . . . . . . . . . . . . . . . . . . . . . . . . . . . . . . . . . . . . . . . . . . . .
Sample-to-Sample Variability of Floating Gate Errors Due to Total Ionizing Dose . . . . . . . . . . . . . . . . . . . . . . . . . . . . . . . . . . . . . . . . . . . . . . . . . . .
A Method for In-Situ, Total Ionising Dose Measurement of Temperature Coefficients of Semiconductor Device Parameters . . . . . . . . . . . . . . . . .
Software Resilience and the Effectiveness of Software Mitigation in Microcontrollers . . . . . . . . . . . . . . . . . . . . . . . . . . . . . . . . . . . . . . . . . . . . . . . . 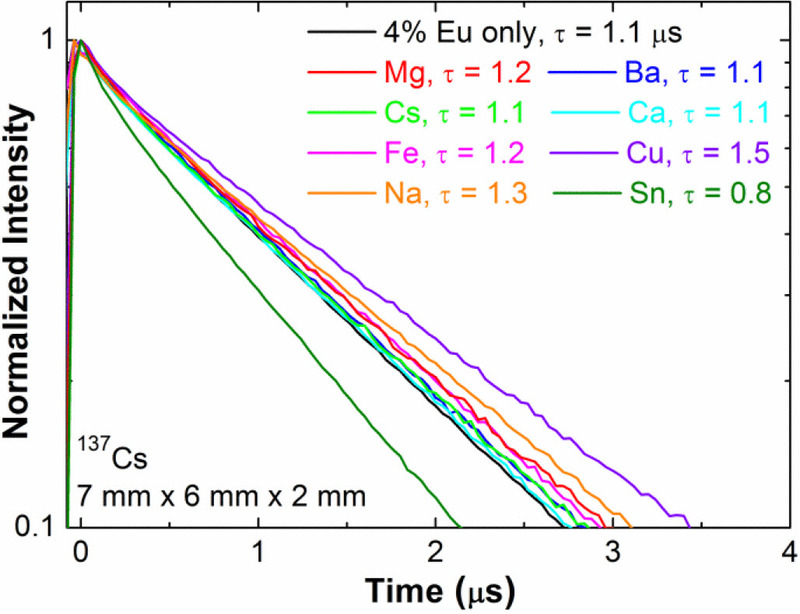 Analysis of Angular Dependence of Single-Event Latchup Sensitivity for Heavy-Ion Irradiations of 0.18-μm CMOS Technology . . . . . . . . . . . . . . .
Soft Error Rate Improvements in 14-nm Technology Featuring Second-Generation 3D Tri-Gate Transistors . . . . . . . . . . . . . . . . . . . . . . . . . . . . . .
Multi-Cell Soft Errors at Advanced Technology Nodes . . . . . . . . . . . . . . . . . . . . . . . . . . . . . . . . . . . . . . . . . . . . . . . . . . . . . . . . . . . . . . . . . . . . . . . Single Event Susceptibility Analysis in CBRAM Resistive Memory Arrays . . . . . . . . . . . . . . . . . . . . . . . . . . . . . . . . . . . . . . . . . . . . . . . . . . . . . . . .
Single-Event Upset Characterization Across Temperature and Supply Voltage for a 20-nm Bulk Planar CMOS Technology . . . . . . . . . . . . . . . . . . .
Memory Access Time and Input Size Effects on Parallel Processors Reliability . . . . . . . . . . . . . . . . . . . . . . . . . . . . . . . . . . . . . . . . . . . . . . . . . . . . Prediction Methodology for Proton Single Event Burnout: Application to a STRIPFET Device . . . . . . . . . . . . . . . . . . . . . . . . . . . . . . . . . . . . . . . .
Single-Event Effects in a W-Band (75-110 GHz) Radar Down-Conversion Mixer Implemented in 90 nm, 300 GHz SiGe HBT Technology . . . . . Evaluating Xilinx 7 Series GTX Transceivers for Use in High Energy Physics Experiments Through Proton Irradiation . . . . . . . . . . . . . . . . . . . . . .
Electron-Induced Single-Event Upsets in 45-nm and 28-nm Bulk CMOS SRAM-Based FPGAs Operating at Nominal Voltage . . . . . . . . . . . . . . .
Impact of Cumulative Irradiation Degradation and Circuit Board Design on the Parameters of ASETs Induced in Discrete BJT-based Circuits . .
A Comparison of Single-Event Transients in Pristine and Irradiated Al0.3Ga0.7N/GaN HEMTs using Two-Photon Absorption and Heavy Ions . . . Recent Updates to the AE9/AP9/SPM Radiation Belt and Space Plasma Specification Model . . . . . . . . . . . . . . . . . . . . . . . . . . . . . . . . . . . . . . . . .
A New Model of Outer Belt Electrons for Dielectric Internal Charging (MOBE-DIC) . . . . . . . . . . . . . . . . . . . . . . . . . . . . . . . . . . . . . . . . . . . . . . . . .
Specification, Design, and Calibration of the Space Weather Suite of Instruments on the NOAA GOES-R Program Spacecraft . 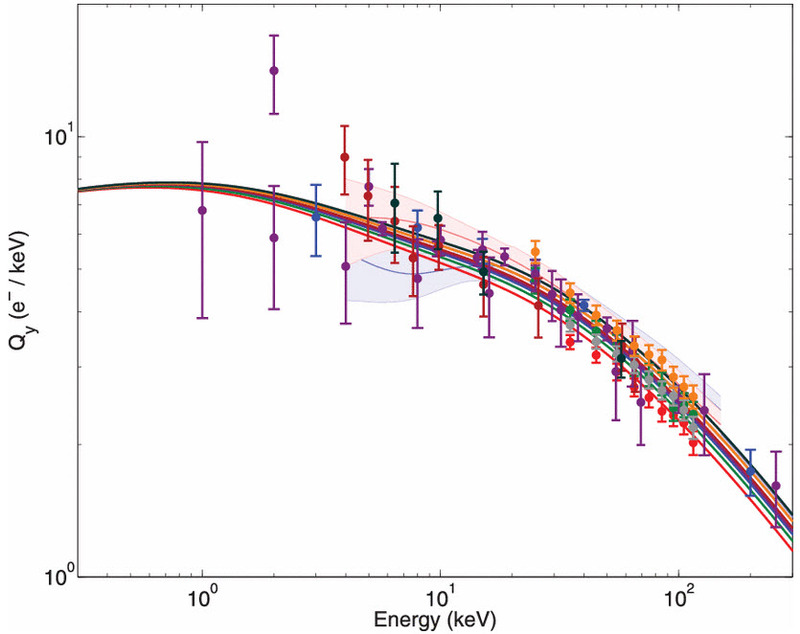 . . . . . . . . . . . .
Terrestrial Muon Flux Measurement at Low Energies for Soft Error Studies . . . . . . . . . . . . . . . . . . . . . . . . . . . . . . . . . . . . . . . . . . . . . . . . . . . . . . . Single Event Measurement and Analysis of Antimony Based n-Channel Quantum-Well MOSFET With High-κ Dielectric . . . . . . . . . . . . . . . . . . . . . 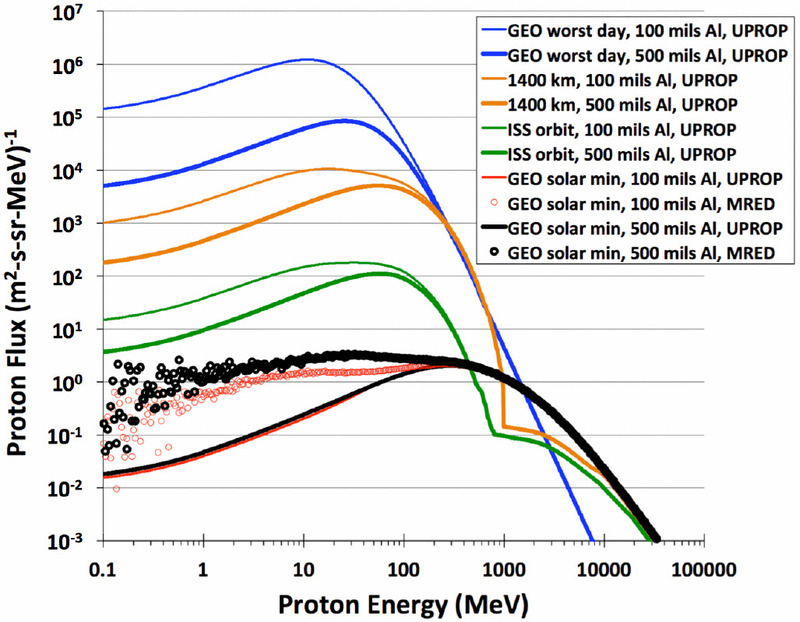 Sensitive Volume and Extreme Shifts in Floating Gate Cells Irradiated with Heavy Ions . . . . . . . . . . . . . . . . . . . . . . . . . . . . . . . . . . . . . . . . . . . . . .
New Insights Gained on Mechanisms of Low-Energy Proton-Induced SEUs by Minimizing Energy Straggle . . . . . . . . . . . . . . . . . . . . . . . . . . . . . .
SEB Hardened Power MOSFETs With High-K Dielectrics . . . . . . . . . . . . . . . . . . . . . . . . . . . . . . . . . . . . . . . . . . . . . . . . . . . . . . . . . . . . . . . . . . . .
Effect of the Radial Ionization Profile of Proton on SEU Sensitivity of Nanoscale SRAMs . . . . . . . . . . . . . . . . . . . . . . . . . . . . . . . . . . . . . . . . . . . .
Estimation of Single-Event-Induced Collected Charge for Multiple Transistors Using Analytical Expressions . . . . . . . . . . . . . . . . . . . . . . . . . . . . . Temperature Dependence of MCU Sensitivity in 65 nm CMOS SRAM . . . . . . . . . . . . . . . . . . . . . . . . . . . . . . . . . . . . . . . . . . . . . . . . . . . . . . . . . . . .
Atomistic Modeling of Suspended Carbon Nanotube Field Effect Transistors Under Proton Radiation . . . . . . . . . . . . . . . . . . . . . . . . . . . . . . . . . .
Total Ionizing Dose (TID) Effects in Extremely Scaled Ultra-Thin Channel Nanowire (NW) Gate-All-Around (GAA) InGaAs MOSFETs . . . . . . . . . . Detailed Characterization of the Radiation Response of Multijunction Solar Cells Using Electroluminescence Measurements . . . . . . . . . . . . . . Drain Current Collapse in 65 nm pMOS Transistors After Exposure to Grad Dose . . . . . . . . . . . . . . . . . . . . . . . . . . . . . . . . . . . . . . . . . . . . . . . . . .
Sub-Micron Resolution of Localized Ion Beam Induced Charge Reduction in Silicon Detectors Damaged by Heavy Ions . . . . . . . . . . . . . . . . . . Radiation Induced Single Ion Surface Effects in Nanoelectronic Circuits . . . . . . . . . . . . . . . . . . . . . . . . . . . . . . . . . . . . . . . . . . . . . . . . . . . . . . . . . .
Radiation-Induced Short Channel (RISCE) and Narrow Channel (RINCE) Effects in 65 and 130 nm MOSFETs . . . . . . . . . . . . . . . . . . . . . . . . . . .
Equilibrium Degradation Levels in Irradiated and Pumped Erbium-Doped Optical Fibers . . . . . . . . . . . . . . . . . . . . . . . . . . . . . . . . . . . . . . . . . . . . . . Radiation Effects in CCD on CMOS Devices: First Analysis of TID and DDD Effects . . . . . . . . . . . . . . . . . . . . . . . . . . . . . . . . . . . . . . . . . . . . . . . Modeling TID Effects in Mach-Zehnder Interferometer Silicon Modulator for HL-LHC Data Transmission Applications . . . . . . . . . . . . . . . . . . . . . . Single Event Upset Sensitivity of D-Flip Flop of Infrared Image Sensors for Low Temperature Applications Down to 77 K . . . . . . . . . . . . . . . . . . . . 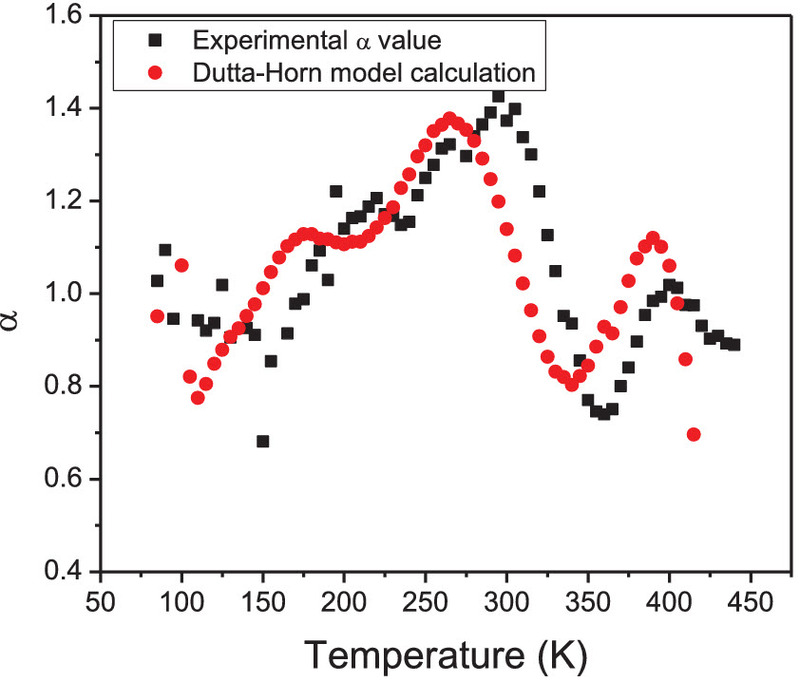 Radiation Hardened Optical Frequency Domain Reflectometry Distributed Temperature Fiber-Based Sensors . . . . . . . . . . . . . . . . . . . . . . . . . . . .
Capacitance-Based Dosimetry of Co-60 Radiation Using Fully-Depleted Silicon-on-Insulator Devices . . . . . . . . . . . . . . . . . . . . . . . . . . . . . . . . . 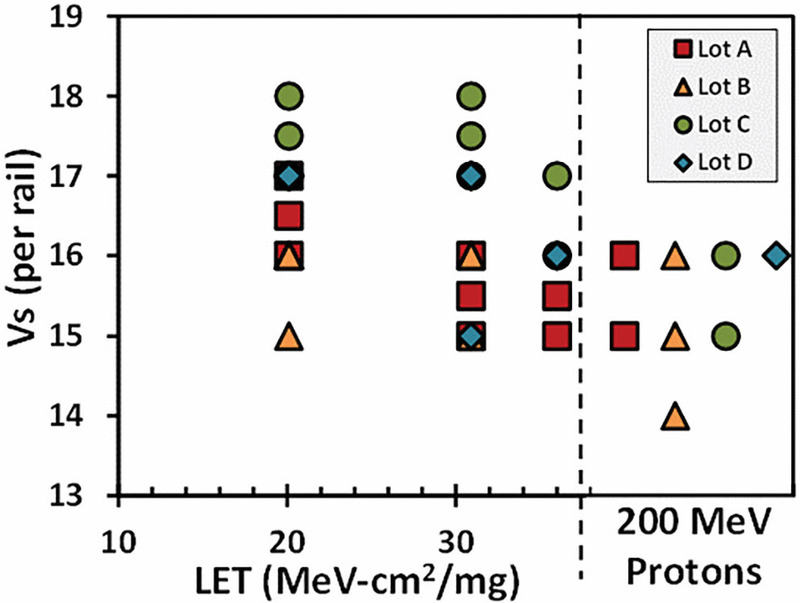 The Role of Static Charge in Ultra-Low Alpha Particle Emissivity Measurements . . . . . . . . . . . . . . . . . . . . . . . . . . . . . . . . . . . . . . . . . . . . . . . . . . .
Energy Dependent Efficiency in Low Background Alpha Measurements and Impacts on Accurate Alpha Characterization . . . . . . . . . . . . . . . . . . .
Analyzing the Effectiveness of a Frame-Level Redundancy Scrubbing Technique for SRAM-based FPGAs . . . . . . . . . . . . . . . . . . . . . . . . . . . . . .
S-SETA: Selective Software-Only Error-Detection Technique Using Assertions . . . . . . . . . . . . . . . . . . . . . . . . . . . . . . . . . . . . . . . . . . . . . . . . . . . . High-Energy X-Ray Imaging Applied to Nondestructive Characterization of Large Nuclear Waste Drums . . . . . . . . . . . . . . . . . . . . . . . . . . . . . . . .
Quantitative Evaluation of PET Respiratory Motion Correction Using MR Derived Simulated Data . . . . . . . . . . . . . . . . . . . . . . . . . . . . . . . . . . . . . .
Design of the Readout Electronics for the BGO Calorimeter of DAMPE Mission . . . . . . . . . . . . . . . . . . . . . . . . . . . . . . . . . . . . . . . . . . . . . . . . . . . .
An Optimal Real-Time Controller for Vertical Plasma Stabilization . . . . . . . . . . . . . . . . . . . . . . . . . . . . . . . . . . . . . . . . . . . . . . . . . . . . . . . . . . . . . Performance of the Fully Digital FPGA-Based Front-End Electronics for the GALILEO Array . . . . . . . . . . . . . . . . . . . . . . . . . . . . . . . . . . . . . . . . .
A Low Voltage Low Power Adaptive Transceiver for Twisted-Pair Cable Communication . . . . . . . . . . . . . . . . . . . . . . . . . . . . . . . . . . . . . . . . . . . .
Design and Implementation of a High Resolution DAQ System for an (e, 2e+ion) ElectronMomentum Spectrometer . . . . . . . . . . . . . . . . . . . . . .
High-Resolution Synthesizable Digitally-Controlled Delay Lines . . . . . . . . . . . . . . . . . . . . . . . . . . . . . . . . . . . . . . . . . . . . . . . . . . . . . . . . . . . . . . . Layout and Radiation Tolerance Issues in High-Speed Links . . . . . . . . . . . . . . . . . . . . . . . . . . . . . . . . . . . . . . . . . . . . . . . . . . . . . . . . . . . . . . . . . . .
MTCA.4-Based Digital LLRF Control System for CW SRF Linacs . . . . . . . . . . . . . . . . . . . . . . . . . . . . . . . . . . . . . . . . . . . . . . . . . . . . . . . . . . . . . . . .
Single-Event Upset Prediction in SRAMs Account for On-Transistor Sensitive Volume . . . . . . . . . . . . . . . . . . . . . . . . . . . . . . . . . . . . . . . . . . . . . . Characterization of a Serializer ASIC Chip for the Upgrade of the ATLAS Muon Detector . . . . . . . . . . . . . . . . . . . . . . . . . . . . . . . . . . . . . . . . . . .
Calorimeter Response Deconvolution for Energy Estimation in High-Luminosity Conditions . . . . . . . . . . . . . . . . . . . . . . . . . . . . . . . . . . . . . . . . . . . Maximum Likelihood Localization of Radioactive Sources Against a Highly Fluctuating Background . . . . . . . . . . . . . . . . . . . . . . . . . . . . . . . . . . . . . Characterization of Screen-Printed Mercuric Iodide Photoconductors for Mammography . . . . . . . . . . . . . . . . . . . . . . . . . . . . . . . . . . . . . . . . . . . . .
Online Fault Detection and Diagnosis of In-Core Neutron Detectors Using Generalized Likelihood Ratio Method . . . . . . . . . . . . . . . . . . . . . . . .
Neutron Radiation Effects on the Electrical Characteristics of InAs/GaAs QuantumDot-in-a-Well Structures . . . . . . . . . . . . . . . . . . . . . . . . . . . . . .
Heavy-Ion-Induced Charge Sharing Measurement With a Novel UniformVertical Inverter Chains (UniVIC) SEMT Test Structure . . . . . . . . . . . . .
Microchannel Plate Detector Detection Efficiency to Monoenergetic Electrons Between 0.4 and 2.6 MeV . . . . . . . . . . . . . . . . . . . . . . . . . . . . . . . . . Encapsulating Ion-Solid Interactions in Metal-Oxide-Semiconductor (MOS) Devices . . . . . . . . . . . . . . . . . . . . . . . . . . . . . . . . . . . . . . . . . . . . . . Radiation Defects and Annealing Study on PNP Bipolar Junction Transistors Irradiated by 3-MeV Protons . . . . . . . . . . . . . . . . . . . . . . . . . . . . .